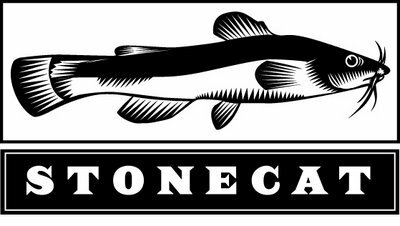 New logo for the Stonecat Cafe...now calling themselves outside the cafe as Stonecat. Am working on some inexpensive labelling (designed specifically for black and white printer home technology with khaki/kraft paper as an accent. They are coming out with some very original sausages created by genius Scott Signori along with some very imaginative other food carry out, take home or give to...from the region. Scott and Jess were very brave to ask me to help them with the sausages...and I took the ball a bit further than they had brought to me...and they are kindly letting me pursue this creative approach. Its looking very good and fresh...Now, I need to slug away on their website layout. Kubb (pronounced /kʉb/ in Swedish or /kub/ in Gutnish) is a lawn game where the object is to knock over wooden blocks by throwing wooden sticks at them. Kubb can be simply described as a combination of bowling and horseshoes. Today's version originated on Gotland island, Sweden. Rules vary from country to country and from region to region, but the ultimate object of the game is to knock the "King" over, before your opponent does. This, combined with the fact that there is a certain level of strategy that can be used by players, has led some players and kubb fans to nickname the game "Viking Chess." However, unlike chess, if a player or team knocks over the king before achieving their objectives, that player/team immediately loses the game. Some games have been known to last for hours. The game can be played on a variety of surfaces such as sand, concrete, grass, or even ice. Kubb is a good game for children (under supervision), although in such cases, the 8-meter pitch length (specified in some instructions), ought to be shortened. Also, Just did the Kubb Collective mark. Here it is on a bunch of things at Zazzle. 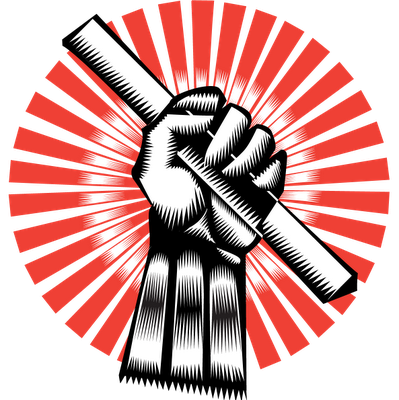 The Kubb Collective is a group of fun people here in the Tburg area that gather regardless of weather to play competitive Kubb--with people paying in per game and the proceeds given to charity. I am a bit frustrated (but without frustration, growth will not happen) with my portrait project at Hartford. I am not going to get into it...but as soon as something is finalized, I will post. Urg. The thesis is at Staples today for binding. Done. We are getting amazing rain (looks like hail!) with lightening and a downpour. Should disconnect. More later.